Seattle Department of Transportation Director Scott Kubly has agreed to a $10,000 settlement resolving an ethics investigation into his involvement with the city’s Pronto bike-share system. Seattle Department of Transportation Director Scott Kubly has agreed to a settlement resolving a monthslong ethics investigation into his involvement with the city’s Pronto bike-share system. In the June 21 settlement with an independent investigator working for the Seattle Ethics and Elections Commission, Kubly admits to two violations of the city’s Ethics Code and promises to pay the city up to $10,000 for the violations. But Mayor Ed Murray says he still supports Kubly because the violations resulted from an error rather than intentional deception. Before he became Murray’s transportation chief in July 2014, Kubly was president of Alta Bicycle Share, a company that had been hired earlier that year to run Pronto in Seattle. Murray and Kubly didn’t hide that connection. In fact, the mayor played up Kubly’s bike-share credentials. But because of the connection, Kubly was supposed to either recuse himself or obtain a waiver to work on matters related to Pronto — matters in which his former employer had a direct financial interest. He did neither, and was deeply involved in the launch of Pronto in October 2014. Investors purchased Alta in late 2014 and rebranded it Motivate in January 2015. But after that point, Kubly still should have officially disclosed his previous connection to the company, according to the settlement. He didn’t do that until Sept. 1, 2015. By then, Kubly had for months been working on a plan for the city to buy Pronto from its nonprofit owner with the intention of expanding it. The City Council approved the purchase this March. Kubly’s two violations were “participating in a city matter in which a prior employer has a financial interest” and “failure to file a disclosure,” the settlement says. The penalty amount is $10,000, but the settlement says Kubly will have to pay only $5,000 unless he commits another ethics violation within two years. The settlement, which still must be approved by the seven-member ethics commission, is between Kubly and Marilyn Brenneman, a former prosecutor hired by the commission to conduct the investigation. The panel’s next meeting is July 6. Soon after Murray hired him, Kubly responded to a request from the mayor’s legal counsel with information needed to obtain an ethics waiver. But he mistakenly sent it from his personal email address to his city email address rather than to the lawyer. 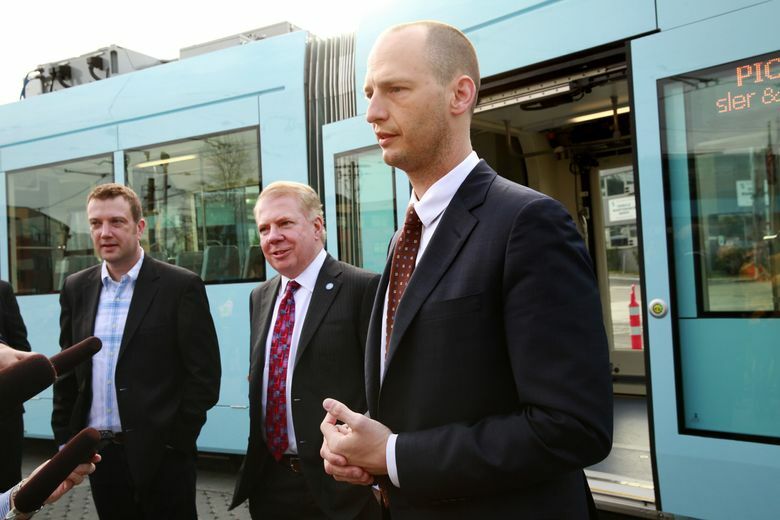 When The Seattle Times initially reported in April that Brenneman’s investigation was examining Kubly’s failure to obtain an ethics waiver, the transportation chief insisted he had intended to follow the rules. But emails subsequently released to The Times in response to a public-records request revealed that Kubly allowed more than a year to pass without correcting his error despite multiple reminders from the ethics commission. Kubly declined to comment on his settlement. The transportation director made about $179,000 last year. Kubly arranged for the city to pay Pronto $305,000 over the winter, without first notifying the council, to help the system’s struggling nonprofit continue service. The Times, in an April 14 public-records request, asked the mayor’s office to disclose communications related to that allocation. The office has yet to fulfill the request.